You openly use an argument from a company that calls itself “the Trip Advisor of career sources”! REALLY? I used Trip Advisor last year to help plan a cross country trip. From my experience I can tell you I get a sample of really happy people and really pissed off people. Not so much in the median range. I guess what I am trying to say, is besides your hate for liberals, which you have included Costco in and a drawn conclusion from a website that represents 1.75% of the base with a margin of error in a poll (which is what it is) is 2.04%. You really also have no proof! You can and will tell us we are wrong until the day you die which is fine, but at least keep an open mind and ask questions instead of attack. I have googled you and if I believed everything on Wikipedia much like you believe glassdoor.com, I could draw the conclusion that you were a bad lawyer and don’t respect the American system. (http://www.theindianalawyer.com/ogden-quitting-law-citing-high-disciplinary-fine/PARAMS/article/35323) I could do that, but I won’t. I just hope that someone that seems to love America like you do, would at least look into something before attacking it. I also hope that even when the other side pisses you off, which it does to most of us one time or another, you would embrace that difference because THAT is what makes America! For the record I can’t tell you if our average wage is exactly $20.89 or not, but I can tell you that our turn over is very low and because of that we do have many tenured employees making large hourly wages. You have 3 hourly wages, Regular Hourly, Clerk Pay, and Supervisor Pay. I know you can figure out what Regular Hourly is, Clerk Pay is a Cashier, Forklift Driver, etc (your skilled positions as you put it). All that is required to get this position is apply for it. Yes you will get some training from another hourly employee in that position but no you don’t go off to school for it. And the final is Supervisor which is hourly and again you apply for it like any other position, it is on the job training. Our raises are based on hours worked, so YES we start off at $12 or $13 an hour but the more you work the quicker you get your raise. First raise of .50 after 800 hours worked, then after that 1000 hours. Being a part time employee you can pick up hours every week to make 40 if you are determined, our store has many that never have a problem getting 40 hours and then we have the ones that are content working part time and don’t stay a full 8 hours. (Those individuals will stay on the lower spectrum longer). I hope this helps explain it in a way you can understand it. Enjoy your day and please keep up the good work, I like the healthy debates you have on your site, but Costco being near and dear to me I just wish you would do a little more research before attacking it. in return to your guy that tells it straight about Costco. you get 8 sick calls a year before you get written up. thats 2 days in row of calling out counting as 1 day. so 16 days a year. I don't know about you but even when I was 16 i didn't call out that much! Just saying maybe there is a reason he is still only part time after 5 years. You criticize my use of Glassdoor.com saying that it only represents a small percentage of the Costco workforce. As anyone who has ever studied statistics and polling will tell you, a very small sample can accurately represent the population as a whole if it's not drawn in a biased fashion. The notion that the people reporting on Glassdoor.com is remotely different than the average Costco employee is not supported at all. But let's say that the Glassdoor data is off, what do you offer in return to prove the claim that the average Costco hourly pay is $20.89, not counting any benefits, overtime, etc? The answer is nothing, nada, zip. You have no evidence. Nothing. All you have is the naked allegation of Costco's CEO Jelinek who has every reason to lie to get good publicity about his company and con a bunch of naïve people into believing that Costco is different from other company out there who pay their unskilled workers several dollars an hour less. I have no problems with Democrats or liberals. I have a big problem with CEOs who lie to the public which is what Jelinek did. As far as my disciplinary case, Anon 4:32, did you read about it? I didn't get in trouble for being a bad attorney or not doing my job as an attorney, I got in trouble for sending an email criticizing a judge for his screwing up an estate case and costing my client several hundred thousand dollars in his inheritance. I won't apologize for that. That is exactly the kind of honesty that led me to call BS to the Costco claim. I've talked to numerous Costco employees in person who all roundly dispute the $20.89 figure. I've even had people write in in defense of the $20.89 claim, then suggest that's actually what people "top out" at. One said that that after 4-5 years, he was only up to $14.50 an hour. Even Anon 12:32 contradicts that with the pay schedule he cites that has people starting out at $12 or $13 an hour and 50 cents an hour getting pay raises every 1000 hours (approximately every 6 mos.) At $12 an hour, that would take nearly 9 years to get up to what Jelinek claims is the AVERAGE hourly pay of a Costco worker! Again this does not include salaried workers or include benefits or overtime. Does anyone really believe the average unskilled hourly worker (again not salaried workers which were specifically excluded by Jelinek) have an average of 9 years of tenure at Costco? That doesn't even get to the issue that several people have reported that there is a topping out in pay so that pay raises are not perpetual. In other words, there are few unskilled, hourly workers above $20.89. When you have plenty of people making $12, $13, $14 an hour, you have to have a lot of workers also making $25, $27, even $30 an hour or you don't get to a $20.89 average. I've long said that Costco should be applauded for paying better wages than similar employers. Undoubtedly Costco pays better than Walmart. But the "better" is a few dollars (say $3 more) an hour more, certainly nowhere nearthe $8 more an hour claimed by Jelinek. Again, criticize my Glassdoor.com data and personal conversations with Costco employees all you want, but you have ZERO evidence to support the $20.89 an hour claim. Good call on assuming they were identical! THEY ARE! my post was over the 4000 character limit so I had to post twice and felt that was a good spot to split it. I understand that smaller data but based on a margin of error of 2% it isn't valid. I even self-reported on glassdoor at 21 an hour (which is untrue) so I can now tell you for sure that the data is not correct. And if you think I'm the only one to have done that you are on another planet. As for tenure, yes a 9-year tenure average is easily possible! at your locale stores which have been open what 13 years? You have people coming from the west with longer tenure to move up. there are 3, 25-year employees in indy alone.... which may not seem like a lot but for a 13 year old building it is. and we have many original employees still with us and I will check tomorrow but I'm willing to bet we are close to a 9-year average. I will report what I find positive or negative in my argument. as for evidence as you put it. I could easily put the argument to rest with a payroll report we get every week, but not only would I risk losing my job, it is unethical to our company standard. So much like I don't take your word for gospel, I know you won't take mine, so we will always be in a lose-lose situation. Also, I don't want to add it into the average $ so lets get that straight now, but at what point does the benefits offered by Costco vs Walmart take into consideration for what the company does for its employees? 91 employees have between 0 – 5 years of service. So this is how I broke it down. I averaged every one of the 9 year employees at 20.89 and hour, All employees that will hit 9 years within the year at 16.52 ( the average between 20.89 and our starting wage of 12.50), side note Glassdoor average was 12.60 (Front end assistant and cashier assistant, they are the same position listed on their site, I took the two averages and averaged them together. Also, min raise given EVER is 50 cents) and ALL of the employees from 0 – 5 years at our starting wage of 12.50 (this was a VERY big gift on your side of the argument as that means 42% of our store has never received a raise over the last 5 years, and our raises are based on hours worked not performance.) So…….. With all that being said the average wage I got was $16.48. That would be $3.81 above the Average of Walmart listed in the article you use in your blog. This seems to prove your argument! BUT………. Using glassdoor.com to look up Walmart, the average reported wage for their employees is $9.31. That is a $3.31 difference from Walmart numbers you use to Glassdoor numbers. If I add that $3.31 into my average wage that I calculated we get $19.79 (That’s $7.12, which is close to the $8 you stated in the previous exchange). While this is not the $20.89 reported I think you can give me the credit that I gave you some very honest numbers that did not attempt to swing it in my favor. So my argument at this point is either EVERY company lies (Which is very plausible) or Glassdoor is not very accurate so it can’t be used in an argument of this nature. I am going to guess that when we averaged our $20.89 it included bonuses for our topped out employees, those 81 I listed earlier plus honestly most of the 44 in the second group. I know you said we can’t count the bonus in the average which is fine (and I didn’t), but I also want to know why you think our employees get their bonus twice a year? To answer that question is once you hit a certain number of hours worked (topped out) you get a bonus….. That is it! No performance related requirements, etc. My question is why wouldn’t you count that? That is income they will get regardless of how the store is performing or how they are performing, I can tell you the IRS counts it! It amounts to roughly $3000 - 5,000 (based on years worked) a year per employee. Also, on average most employees top out around 5 to 6 years of employment. So I hope this helps answer your questions about Costco, like I said in my first post I never expect to change your opinion because I think there are deeper issues with it, but in a small way I hope you see our passion for this company and why we will fight for it, whether we are making $12.60, 16.48, or $20.89. I feel comfortable in saying you won’t see a Walmart employee as passionate as some of our average employees at Costco. If you have any other questions that I can help to answer please respond, also I hope if you’re not already, you would consider being a Costco member. Give us a chance to prove why we are better, we won’t let you down. "Costco Wholesale can confirm that the average wage for hourly employees in the US is greater than $20 per hour. This average wage includes the accrual for the twice-a-year Extra Checks for long term employees, but does not include any premium pay for overtime." We know that's the self-serving claim. No proof has ever been offered. I've said all along that Costco pays several dollars per hour better than Walmart, but it's more like $3 or $4 better not like $8 (or $10 if you go by your $9.31). Walmart claims a higher average than that, by the way. Your numbers seem to back up what I'm saying. I would point out though you don't seem to be distinguishing between the salaried employees and the hourly. I imagine by the time many hourly employees reach 9 years, they've moved to a salaried position or left the company. Of course Costco CEO Jelinek's claim specifically excludes benefits, overtime and bonuses. I'm perfectly fine with patting Costco on the back for paying more which I think is smart because it helps with retention. My problem all along is Costco's CEO selling the public with the phony claim that the company pays much, much better for unskilled workers than virtually everyone else, leaving the implication it's only a matter of will that companies pay better and not basic economics. First its not MY $9.31 its YOUR Glassdoor number! (Look it up, you managed to do it for Costco) Second, There are no, let me repeat NO salaried positions included in the numbers I gave you. Every one of the employees I gave you, each clocks in at the start of their shift and clocks out at the end. of the 216 employees I list, none are in any managment or sup rolls which is what you would refer to as salaried. I backed up your numbers? not really, but again if you look at the data how you want to, but it is after all your blog, LOL. At this point I'm done with this silly game as I honestly believe I could slap the payroll report on your desk and you would still magically miss most of my point. your words from the last post "Walmart claims a higher average than that, by the way" well all be..... so does Costco! so do we go by what the companies each claim, or what Glassdoor claims? OR, do you just get to pick and choose which data you pull from to prove your argument? FYI, why can't you give a glimmer of thought about the bonus situation? Enjoy your version of the world we live in, I hope you still find the time to make it into Costco to find out what we are really about. We might surprise you. And jelinek's claim is without overtime or benefits..... NOT bonus! its in your article you use. So like I said I believe the bonus is included in the $20.89. What point are you trying to make? Your own research backs up my claim and not Jelinek's phony $20.89 an hour claim. 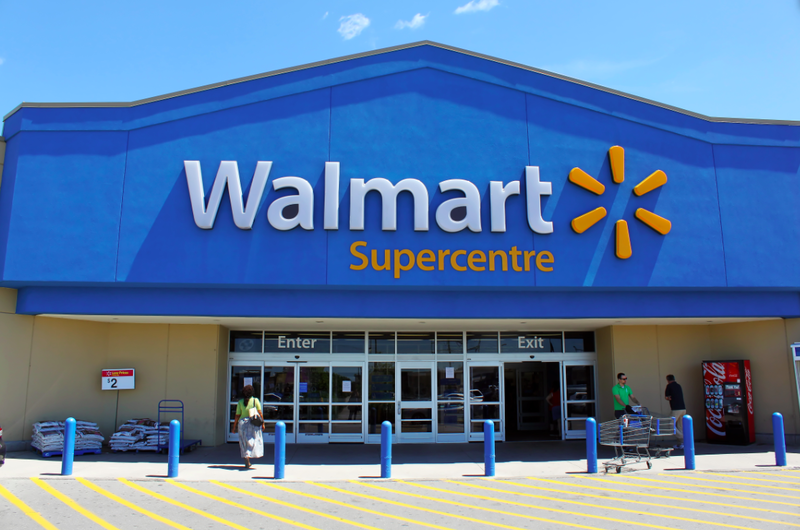 The $9.31 you is Walmart's average pay on Glassdoor is flat out wrong. Glassdoor doesn't do averages for companies. What you are looking at is an average for one hourly job classification...the very first one you came too. 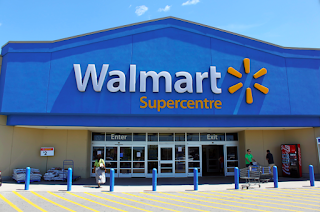 There are numerous job classifications on the Glassdoor website for Walmart hourly employees. Did you go through and average all those employees pay? Obviously the answer is "no." I have agreed that Costco pays several dollars an hour better than Walmart. I applaud them for that. I don't applaud the CEO for lying, telling people that his unskilled hourly workers are being paid middle class wages when they clearly are not...on average. I can't find any article saying bonuses are including in the $20.89 an hour claim. Generally a bonus is not included when you're saying how much someone makes per hour. Like I said before (when I was Anon 4:31,4:32, 6:00), I've grown tired of this banter. What point am I trying to make? That your data you use is used ONLY to support your claim. According to you though our back and forth, Costco's Glassdoor pay is accurate and what the company says it is, is wrong. and what Glassdoor pay says for Walmart is wrong, but what the company says is right! Have I explained that in a clear enough form, because that is what I get from our conversations. To expand on this, The Glassdoor site also has front end cashier assistant and front end service assistant listed with 2 different pays for Costco. Problem is I am looking at our employee agreement handbook right now and there are only 2 Classifications, Service Assistant and Service Clerk. your service assistant is ANY hourly employee in the building who is NOT a Cashier,Forklift Driver, Baker, or Meat Cutter (Those 4 positions are Service Clerk FYI). Plain and simple only 2 classifications. Supervisors are hourly and make $1 more then any topped out employee they oversee. All manager positions are salaried. Second of all you say my research backs you up, yes but is it fair to say that I gave you a gift when I assumed that 42% of our building has NEVER gotten a raise? Remember we are an hours based pay system, so you get a raise based on hours worked. To give some more data for you to digest.... Accurate data that is out of our Employee Agreement that is given to EVERY U.S. employee, remember 135,000 of us that sign this agreement (our signed sheet goes in our employee file). You being a lawyer could agree, if Costco wanted to lie, making 135,000 people sign this document with pay raise and top out info in it, probably wouldn't be a very logical, sound business decision as it would open up numerous lawsuites if they did not abide by it.... Right? well here we go. This means that an employee will top out after they have worked 10,160 hours with Costco. or 4.88 years at full time or roughly 8 years for part time. The current standard in buildings is to be roughly 50/50 on FT vs PT. You decide what you want but I bet if you go in and ask some Walmart employees, since you have talked to some Costco employees, I am willing to bet they do not get guranteed raises of min 50 cents after so many hours worked and they would probably love to go work for Costco. I think your flaw in this whole system is you look at Costco like any other retailer, and not because I am obviously biased, but because our system is truly different in many ways (you'll have to believe me) our tenure is much higher. We really don't have much turnover and this is why you get the higher average you argue against. If you go out west, I promise you will see many Silver badges doing normal hourly jobs (Silver Badges designate 25 years service with the company). You really want to see a big difference in pay, look at Walmart Manager pay vs a Costco Manager, but that is a totally different argument. The last little bit of info I would like to give to validate that you can trust my data. Our employee agreement comes out in March every 3 years, that means next month we will get our new agreement. I promise if you look up any article next month about Costco raising our starting pay, if you take a 3 and put it after the 1 that will be our new starting pay, but by doing that, it means everyone else will also get a raise. At the end of the day I'm done making my point, which is you just don't like Costco and its leadership and I truly believe it is for more political reasons then you will ever admit to on this blog. And I am fine with that but at least don't lie about it, oh and you are wrong about our wage being a myth..... Good Day Sir. I know exactly where you got the "average" Walmart pay. But you're looking at only ONE job classification on Glassdoor and simply assuming that represents the average for all the hourly jobs at Walmart. Many Walmart job classifications pay a bit better on average and few pay worse. Not sure what point you're trying to make. I've always said Costco pays several dollars an hour better than Walmart, provides better benefits, more opportunities for bonuses, etc. What my issue was about, AND YOU CONFIRMED, is that the $20.89 hourly average pay claim by Costco Jelinek is as phony as a $3 bill It simply isn't true. I'm sorry, but I have a problem with CEOs lying about what their employees are paid, trying to present the false narrative that the only thing stopping a company from paying middle class wages $20.89 an hour (sans overtime and benefits) is the will to do so. Costco has gotten huge positive PR by its CEO making the phony $20.89 claim which has been accepted unquestioningly by so many media outlets. Do you think it's right for people to be lied to as Jelinek has? I don't think so. An agreement to pay employees a certain sum says absolutely nothing about the average pay those employees receive. Nonetheless, the record should show we are both in agreement. Your own research confirmed that Costco hourly employees don't make $20.89 an hour on average. So we completely agree that the $20.89 claim is false. Where we disagree is that you think it's okay for a CEO to lie to the public to create a false impression of his company to garner good will, while I think such lies are reprehensible and should be exposed. Mr Ogden, not even close! But whatever makes you feel better about yourself. Other then glassdoor number which isnt verified by any credible source, you have no proof to prove your argument so look into a mirror. Re-read your own post recounting your personal research. You confirmed that the average hourly rate is nowhere near $20.89. That is exactly what I said. The numbers Glassdoor publishes regarding Costco's average hourly via self-reporting is perfectly in line with your research. There is absolutely no evidence whatsoever to support the $20.89 an hour average claim by Jelinek. You admit that but then are angry that I point it out the $20.89 average is phony. That makes no sense. You grossly misinterpret what I said. I have in fact praised Costco for paying its employees better than Walmart. I won't praise lying though and that's what Costco's CEO is doing with his phony $20.89 average hourly employee salary claim. Is it okay to lie to workers, shoppers, stockholders and the public so they like the store even more than they otherwise would? I don't think so ... which is the whole point of my problem with the $20.89 claim.